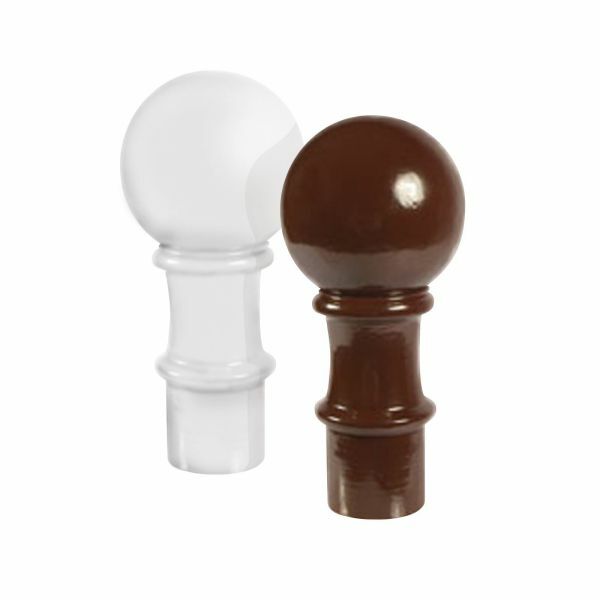 Product information "Sunwood Ridge Ball Finial"
Strong aluminium cast ball finial with durable powder-coated finish provides a simple, decorative finish to Sunwood's classic ridge cresting. This aluminium cast finial includes a threaded bolt for securing to the finial screw port of the Sunwood Aluminium Cast Spider, or for alternative fixing directly to the ridge. Together with sections of Sunwood Cresting, it forms a decorative finish to the ridge of any Edwardian and Victorian conservatory and will look great for years to come. The Sceptre Finial features a threaded bolt on the base that is designed to fit directly into the screw port on the aluminium cast Sunwood Spider. Related links to "Sunwood Ridge Ball Finial"
Customer review for "Sunwood Ridge Ball Finial"